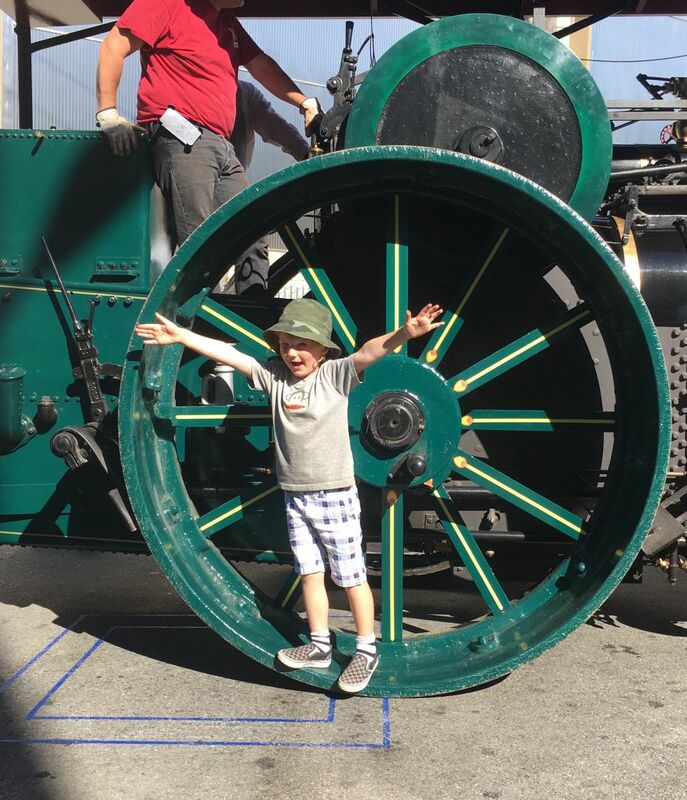 A huge thank you to all of the volunteers, vendors, and visitors who made our 14th Annual Roadworks such a resounding success! 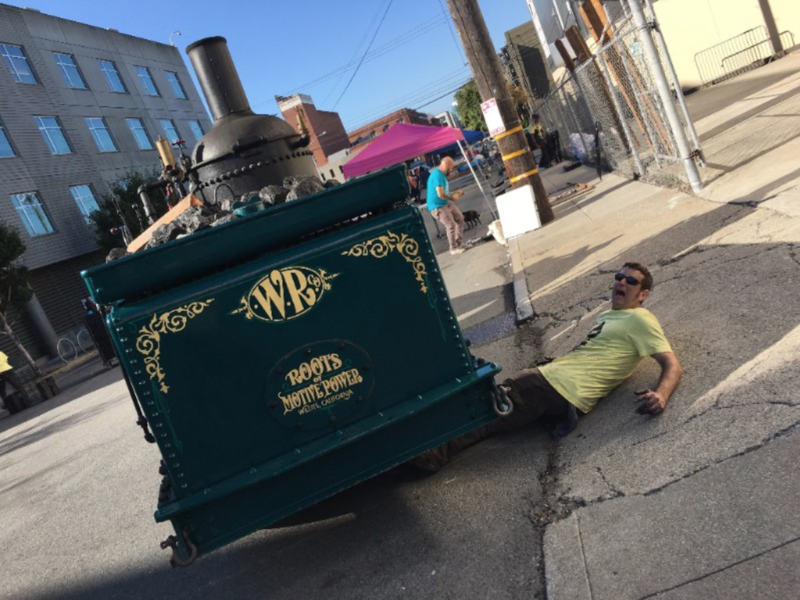 Rhode Island Street was bustling with book arts activity punctuated by regular blasts from the Buffalo Springfield steamroller pictured above (graciously shared and expertly operated by our friends at Roots of Motive Power in Willits, CA). 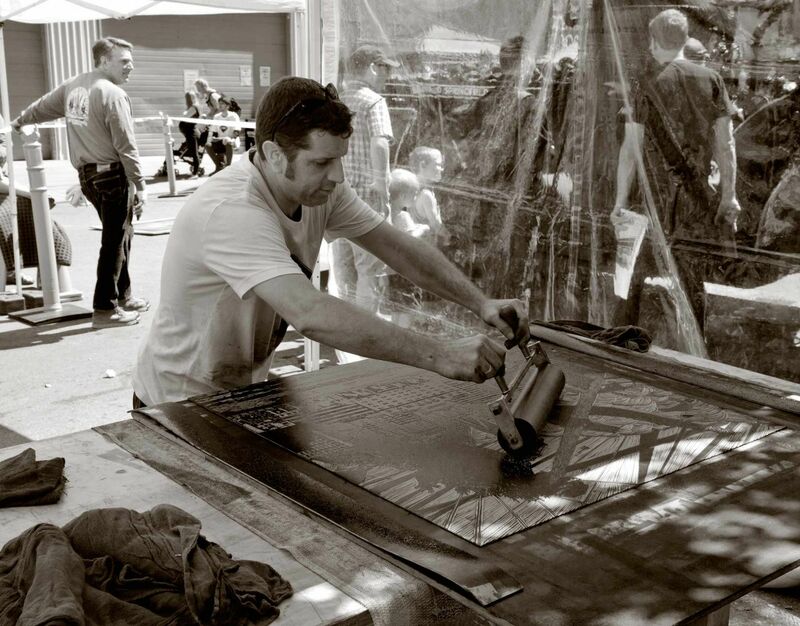 We'll be back next year with more steamroller printing to celebrate year 15! ROADWORKS PRINTS ARE NOW IN OUR ONLINE STORE! 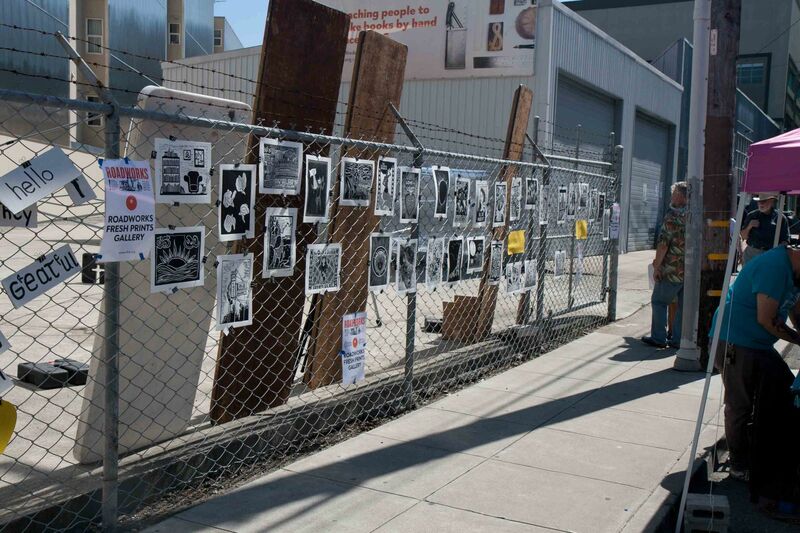 Proceeds from all steamroller print sales go to support SFCB's programs. 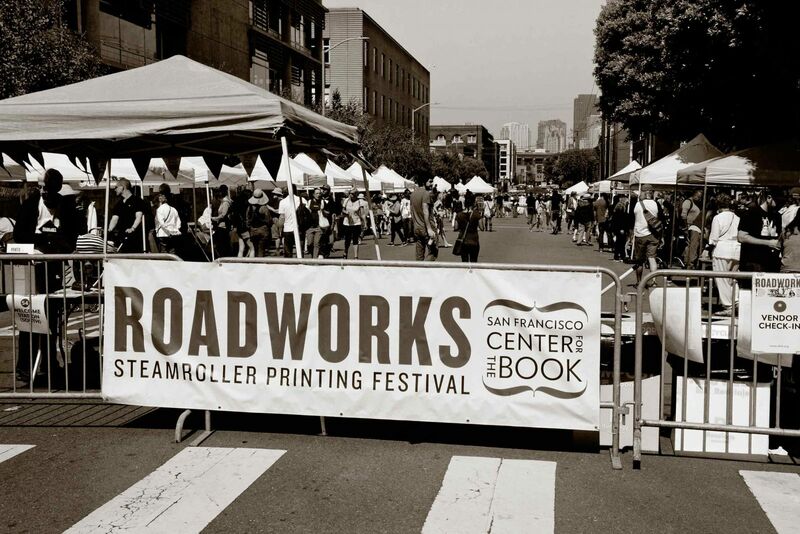 This exciting program allows the first 40 people to sign-up with the opportunity to design and carve an Official Roadworks Personal Prints 9" x 12" piece of linoleum and have it printed by a real steam-powered steamroller at San Francisco Center for the Book's Roadworks Steamroller Printing Festival on Sunday, September 17, 2017. 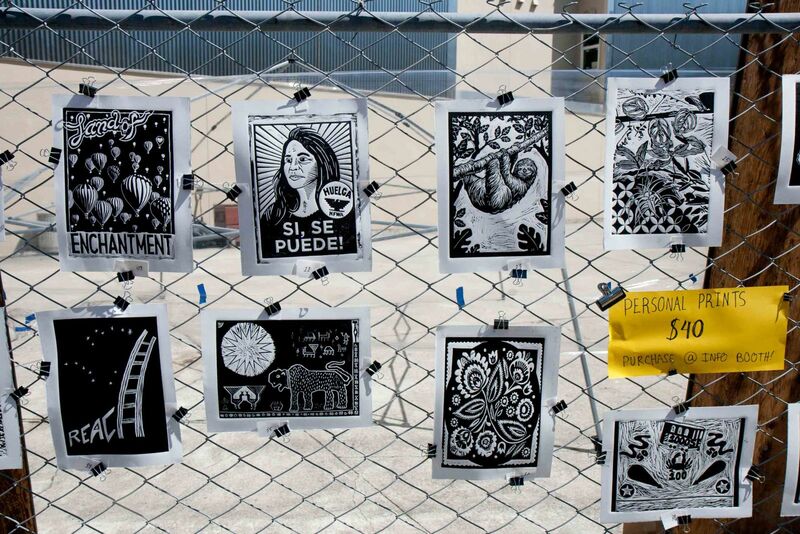 Roadworks "Personal Prints" by these artists will be available for sale at the Roadworks Steamroller Printing Festival for $40 each as a fundraising activity to benefit San Francisco Center for the Book. Thank you for your support!